Kings and knights, alpha males every one of them, are archetypal images which appear in various forms in Virtual Worlds as they do in dreams, stories, and film. So it is only fitting that I touch, this week, on the subject of the male ego. The King as a traditional All Powerful Male is a component of many a fairy story, and often he falls ill, or dies so that either the New King or Prince can then take his place. The old, dogmatic ego fails and the ‘reconstituted” ego arises in it’s place. 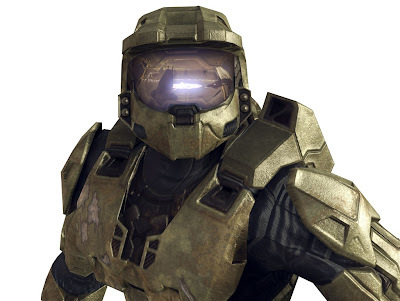 This photo by MasterChief from one of the MMPORG (“other worlds”), called MasterChief 1 it is a very accomplished 3D image of a dominant male. It presents an armour-plated male; like a crustacean the skeletal material forms on the outside making him impervious to any external influence. Symbolically he represents a dogmatic view of life which is so insulated and self-referential that future development is impossible without his total transformation or symbolical death, (in Egyptian myth the ‘king’ is dismembered before being rebuilt). The King of Fairies by Nenny, from the Sims, is a much ‘softer’ King, semi naked, being advised or influenced by powers behind the throne he seems like the sort of guy you would happily have dinner with. He gives the impression of being a ‘modern’ sort of male, even the slightly casual way he wears his crown denotes a certain informality; the opposite of armoured dogma. 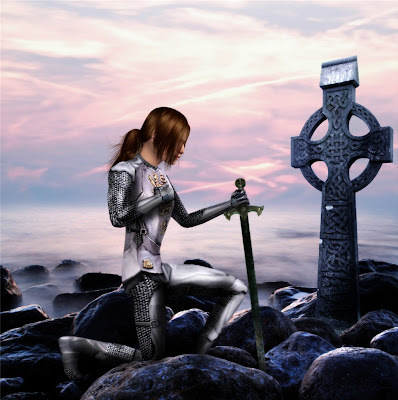 Staying with this rather romantic image of the male, Knight by Marty86, is a classic fairy story image. The devout knight humbled on his knees before the gods he is off to do battle with the forces of evil ... it’s all classic Hero stuff and a major part of most cultural traditions. He appears in many different guises in modern films, differently dressed, from Indiana Jones to The Matrix, he’s the nice guy, tough, but kind to children and furry animals. 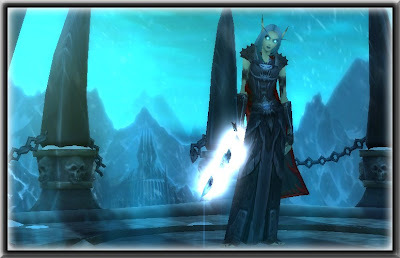 From the World of Warcraft we have Blood Elf Death Knight, courtesy of Fricka. Unlike the previous, romanticised image of the knight we see here that the knight, any knight, is just a posh soldier who’s job it is to kill. So we get a more ambivalent image... good or evil? Well I guess that depends on whose side you are on. Midnight sun gives us another example of the battle-scarred alpha male. The Evil is a more modern view of a dominant male, this one with no pretensions to romanticism. Alert, thoughtful and confident, again, his intentions are ambiguous ... depends, again, who’s side you are on, I guess. Now, I would be surprised if anyone, anywhere, had foreseen the popularity of the Slave and Master role playing games that many are involved with in SL and other worlds. I have no idea how many women and men have been collared but I suspect it is a very large number. Psychologically it could have been predicted, I suspect, as the partial “Liberation” of women leaves a gap in the clear delineation of gender roles. The need, at least in a romanticised way, for a dominating alpha male to lay down precise rules of how to perform in a relationship is obviously greatest in a time where the guidelines inherited from previous generations no longer seem applicable. I had always thought that women see men as a bit like a refurbishment project, a dilapidated house, in need of a good clean, new wallpaper, a few scatter cushions and a some scented candles. I,unfortunately, have fallen deperately in love with the Knight by Marty86 and am patiently waiting for him to sweep me away on his white stallion in either SL or RL. Do you have his contact info?? ?